Tami McLeod and Chris Vaughn are our resident dog trainers and canine enthusiasts. Both have dedicated their lives to becoming skilled in understanding dog behavior, evaluating temperament, and improving the dog-human relationships. Pacific Northwest native Tami McLeod has dedicated the last 20 years to her dog training career. Past experience coupled with a constant desire to improve her dog training skills with innovative training techniques has allowed Tami to stay on the forefront of the canine training and behavior scene. She conducts a handful of workshops across the United States and Canada. Active in competitive canine sports including AKC obedience, schutzhund, and Ringsports, Tami is involved with all things dog. She qualified and represented the US at the world working dog championships in Germany, as well as several national schutzhund championships at the SchH III/IPO III level. Having achieved over 100 working dog titles, titling in three sports, assisted other world level trainers, and qualifying for and competing nationally with four different dogs, Tami has the experience on the trial field to back up her methodology. Currently, she is preparing her personal dog, Jeronimo, for competition and her three demo dogs Seamus, Snap, and Panache are always busy helping with training, demos, and dog reactivity when they are not out enjoying a hike. As a young person, Tami was an avid equestrian competing on the hunter/jumper circuit. Now, you will find her enjoying the more relaxed lifestyle of enjoying the trails with her horses, often times with dogs tagging along for mental relaxation and physical conditioning. Tami worked several years in the state of Tennessee as a POST certified police officer. Chris, a native of Nashville, has been working with dogs for over twenty years. He is a sought after training decoy amongst IPO handlers and police departments, having raised/trained many dogs to be successful working police dogs. 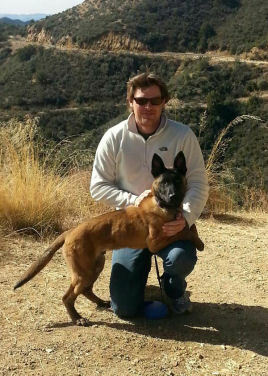 With an eye for evaluating working dog candidates, and a passion for studying bloodlines in Belgian Malinois, he is a valuable asset to law enforcement and sport handlers seeking to find their next working candidate. Chris’ skillful handling and ability to work with highly aggressive dogs provides the training team with the avenue to assist clients in ways other trainers are unable. We work together to provide reliable obedience training and canine behavioral consultation. As canine behavioral specialist, we understand how to effectively and safely improve the behavior of aggressive dogs, fearful and anxious dogs, as well as simply placing a good obedience foundation on unruly companions. By placing emphasis on proper early puppyhood development and training, we are also able to prevent problem behaviors from arising. Our training approach is one that combines a fair and balanced pack order with motivational training techniques. Our pride in laying a solid foundation shines through in our desire to improve your dog’s behavior, and educate the owners on how to maintain training without cutting corners. We are able to introduce new behaviors in a conducive learning environment when your dog is ready to learn. Proofing (creating reliability in challenging situations) takes place off site to generalize all of your dog’s new behaviors in a variety of settings. 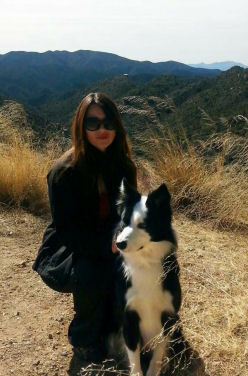 Baja Dog Training offers in-home dog training throughout southern California. Currently, our client base includes clients in Carlsbad, Rancho Santa Fe, Del Mar, La Jolla, Solano Beach, Encinitas, Leucadia, Cardiff-by-the-Sea, Olivenhain, Oceanside, Vista, Bonsall, Fallbrook, Temecula, Escondido, San Marcos, and north San Diego county. Our Board and Train Program services are available to all of the regions listed above as well as San Clemente, Murrieta, San Diego, Ramona, Palomar, Lake Elsinore, Laguna Nigel, Riverside. We offer complimentary pick up and delivery services for our “Immersion Canine Camp” program. You trust us with a very important member of your family, so we will do everything necessary to keep them safe and comfortable. We will keep your dog active and healthy while he or she is in our care. Every dog enrolled in our Board and Train program are taken on regular field trips to local coffee shops and local lake, as well as relaxing hikes. As full time, professional dog trainers we understand the importance of replicating a home living environment for the dogs enrolled in our Immersion Canine Camp program. We take great pride in proving a safe, professional home style training environment. The utmost care is taken to safely manage and socialize dogs in training (always supervised and paired according to temperament), with ample exercise. We feel it is important to create a tranquil training atmosphere to relax the dog’s body and mind. We only accept 2-3 canine students into our “Immersion Canine Camp” program at any given time. This allows us to focus individual attention on your dog in a home environment versus the stress of a large, commercial kennel environment. During down time and on comfortable, sunny days the dogs enjoy quiet individually spaced outdoor patio runs with raised cots, flower pots and shade screens. All camp students are taken on relaxing hikes in the Coronado National Forest located adjacent to our home, particularly helpful for hyper active and anxious dogs. Feel free to contact us so that we can assist in developing the best training program.